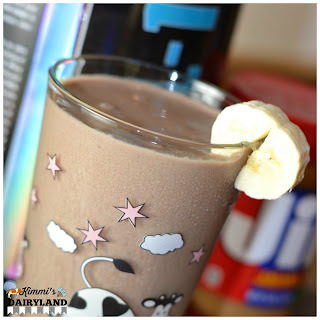 For a protein smoothie that tastes more like dessert than health food, check out my Chocolate Peanut Butter Protein Smoothie! Like most of my recipes, it starts with experimenting. A little of this. A little of that. 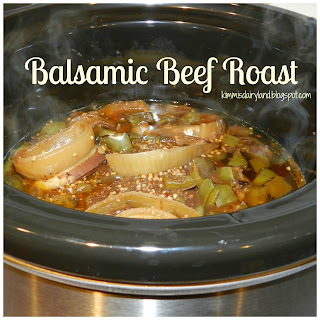 I love when recipes are flexible and customizable since everyone has different tastes. The start of a new year brings added motivation to reach new goals, but why does it only have to be on January 1? I started listening to a podcast by Rachel Hollis earlier this fall and she talks about living the last quarter of the year like we do the first 30 daysof a new year. The concept is called 'Last 90 days.' It's inspiring and while most days did not go according to plan with my fitness and nutrition goals (hello real life! ), I made more progress than I would otherwise. Why give up on yourself and stuff yourself full of cookies just to start over in a month? Be kind to yourself. Yes, sometimes this means going for a run and not eating those cookies; sometimes it means taking a nap after work. Moving your body is a necessary part of the fitness equation. However, don't overlook the nutrition aspect since it accounts for about 80 percent of your progress. Treats are okay, but cannot happen every hour on the hour. Finding the time to eat healthy is hard, especially with a demanding career. It's essential to make it simple (otherwise it does not happen in my world). I love starting the day with a protein smoothie. It's easy and portable, and I can drink it while getting ready. Pack healthy snacks to avoid mid-day temptations in the break room. Apples, cheese sticks, chocolate milk (single serves are fanastic), crackers, and beef jerky are a few options. 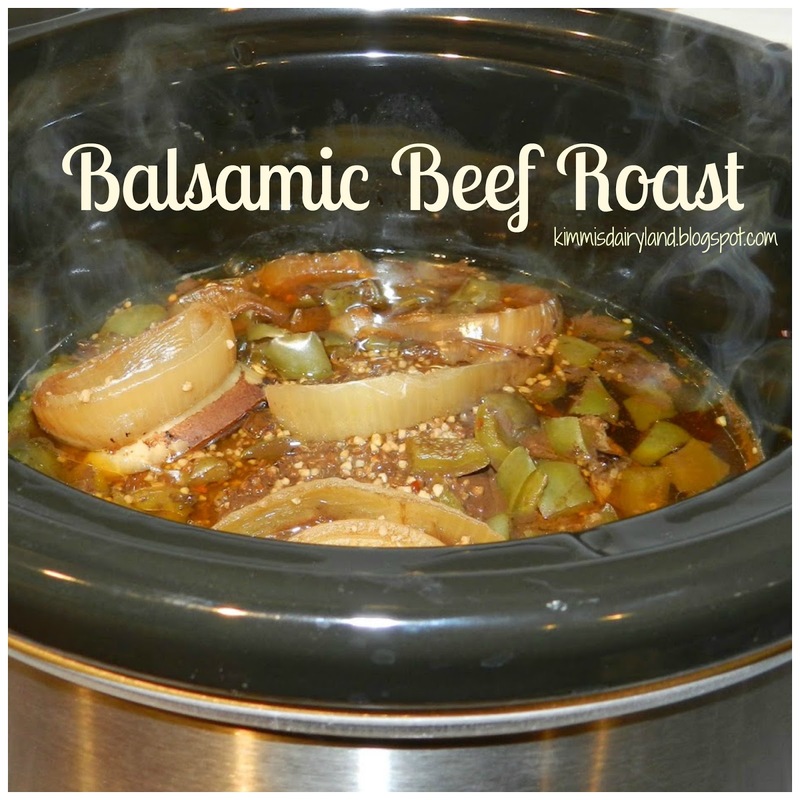 Like most of my recipes, this one is customizable to your preferences. I love to sneak extra protein in wherever I can, so I choose Fairlife milk for my smoothies (almost double the protein!). Regular milk is also a great option since both have the same nutrients. 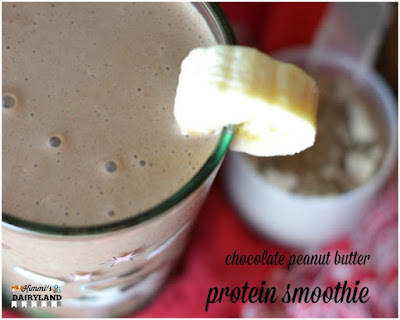 You can also use whichever milk chocolate protein powder you prefer. 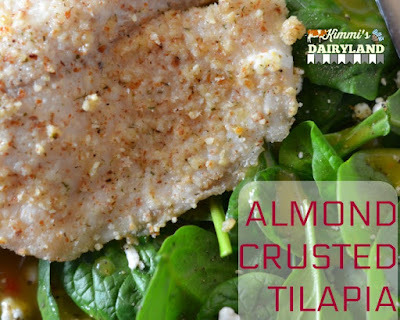 To make this into a dessert, just add a scoop of chocolate ice cream for a protein milk shake. Easy, nutritious and delicious way to start the day. 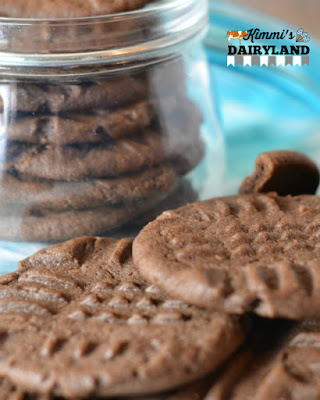 PS - If you love chocolate peanut butter, check out these Chocolate Peanut Butter Cookies. I can remember where I was when I heard Miranda Lambert's song 'The House that Built Me' a decade ago. 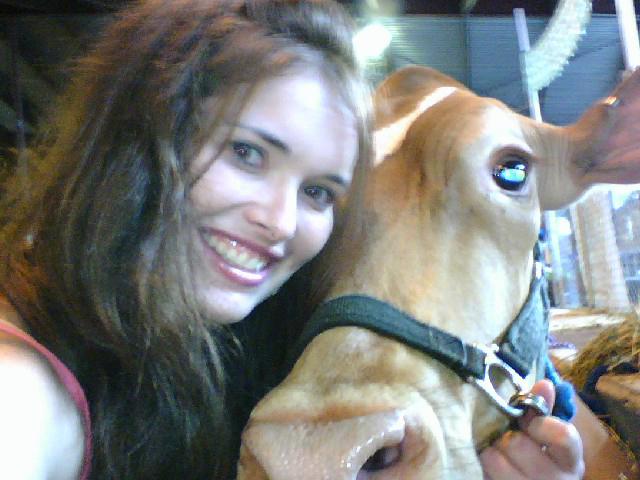 I was in New Mexico for a six-week dairy program between my sophomore and junior years of college. I vividly remember one of my classmates saying how the song is so relatable to many people because we all have that house we grew up in that helped shape us into who we are today. At 20, I didn't think too much of it. At 30, I do. For me, that house was a two-story white farm house with a kitchen overlooking one of the cow pastures. It was full of cow decorations, Mary Moos and so many family photos. If you didn't know better, you might think the dairy farm had moved indoors. Today, you'd think that of my place. It was where my brother and I grew up. It was where we learned about hard work. Actually, a lot of that also took place in the barn, on the tractor, and in the driveway where we would lead our show cows around. That house. That barn. It was home. It always will be. However, that wasn't our parents house. As the kids of very busy parents who both worked in the airline/aviation business, we were lucky to have dairy farmers for grandparents. 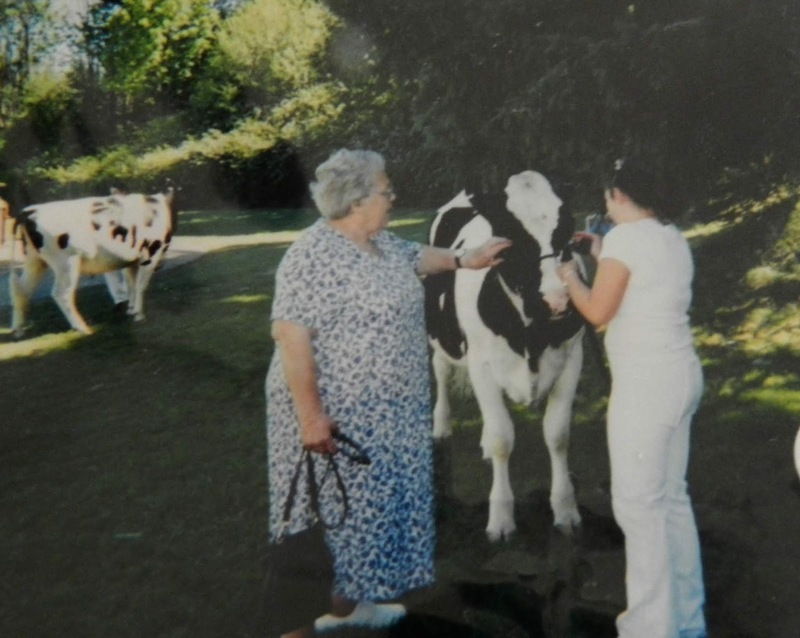 Although the milk cows have been gone and the stantion barn empty for years, you couldn't convince me that Grandpa wasn't overjoyed the day two Holstein heifers arrived back on the farm as our first 4-H projects. This house. This farm. This is the farm that built me. It's hard to describe exactly what growing up on a farm does to you. Between the new show calves that have yet to grasp the concept of walking on a halter and the frustration caused by equipment breaking as you are trying to beat the rain because you've got hay down in the field, something happens. Something special. And it definitely doesn't feel special at the time. At the end of the day, it's building perserverance. It's building grit. And it's building character. It's also building tight-knit families and communities. 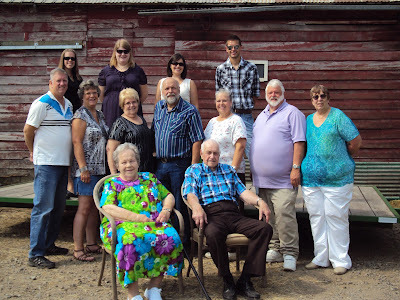 I never could imagine what life would be like without the farm or without my grandparents. Then Grandpa passed away at 93 and I fell apart. And in February, we lost Granny. I haven't really talked about it. I haven't known how. Even as a writer, I couldn't find the right words. They were the backbone of our farm and of our family. 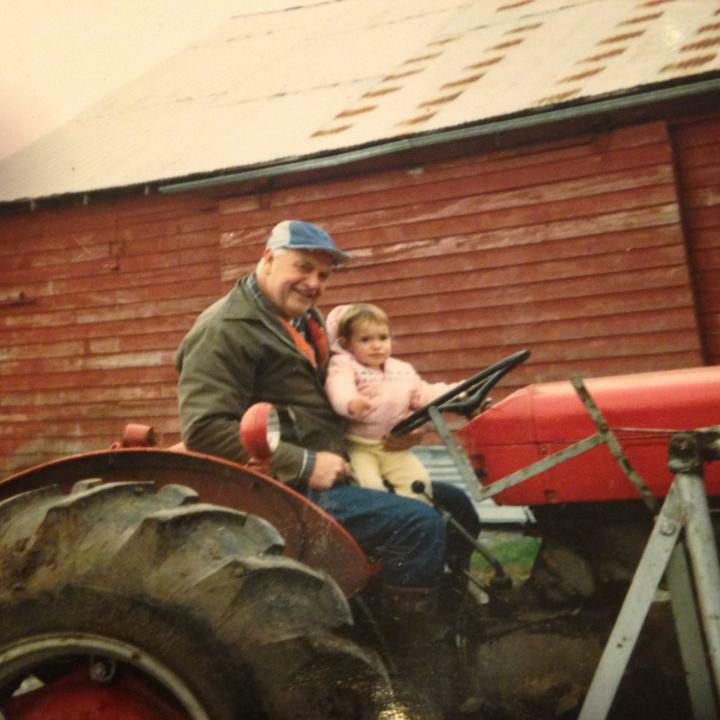 They shaped us into the people we are today and gave us the best gift of all: a love of farming. As farmers, we talk about the number of generations involved on the farm. It's something to take pride in. Passing it to the next generation can create challenges, but it's the perserverance, grit and character that keeps each generation going. Milk prices are terrible. Many farms are struggling. And yet, they can't quit. I hear ya. Once it's in your blood, it feels like losing yourself to lose the farm. Fortunately, we didn't. Before I was old enough to remember any memories, I was riding on the tractor with Grandpa, grocery shopping with Granny and tagging along on random adventures. Before long, it was ingrained in me. I'm beyond thankful to be involved in the dairy industry. June is National Dairy Month. It's a time to celebrate the dairy community, our cows and the amazing product produced by an industry that creates so many jobs on and off the farm and impacts the community in a big way. 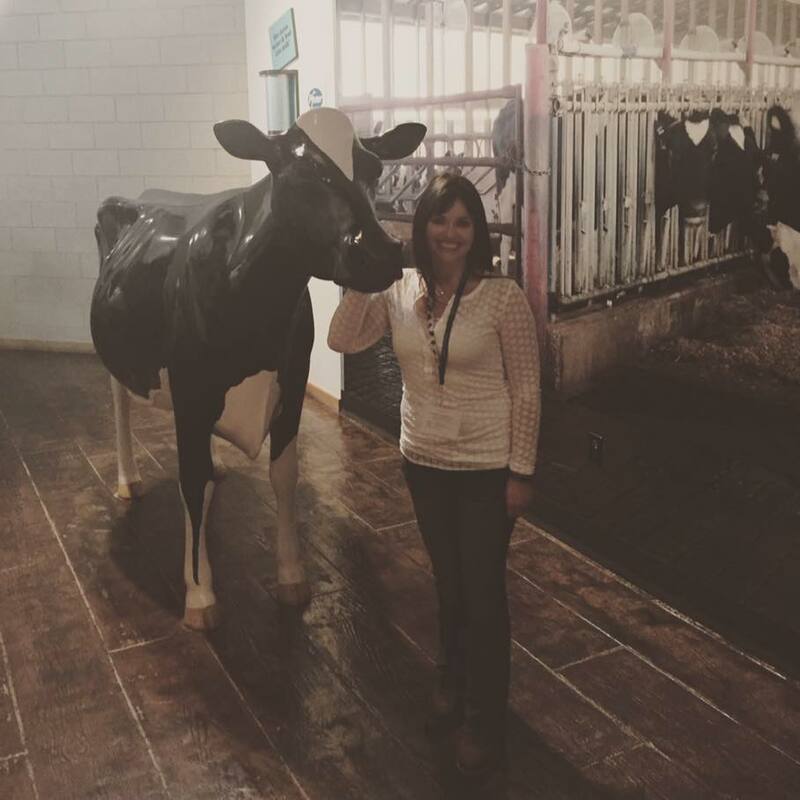 For me, June Dairy Month is a time to reflect back on what brought me to where I am today. It was my Grandpa. My 4-H leaders. My family. Our dairy community. Our farm. It truly takes a village, especially to raise a 4-H kid. And for that, I'm truly grateful. My Grandpa's legacy is something I strive to carry on each day. 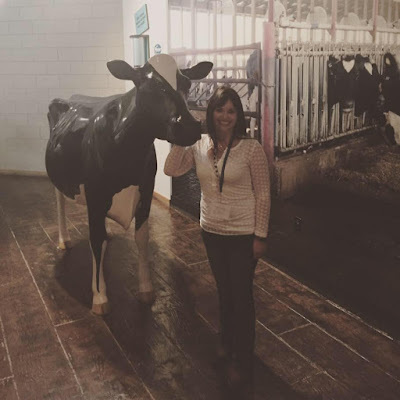 It drives my work, my passion for dairy and the kind of person I am. So many families in the dairy industry could say the exact same thing. And that's also part of what makes this community more of a family. Homemade jam. There's really nothing like it. Just the idea brings back memories of Mom and Granny canning at the end of each summer. It wasn't until a few years ago that I decided to try my hand at it and turns out I'm not too bad at it. 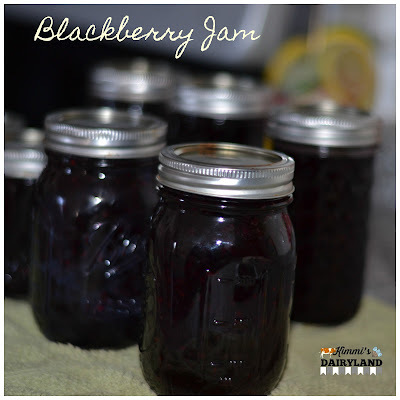 You'll love this Blackberry Jam recipe! Blackberries grow like weeds in our pastures, and while our cows love their treats from the garden, they seem to leave the wild blackberries alone. It may be the thistles. Smart cows. 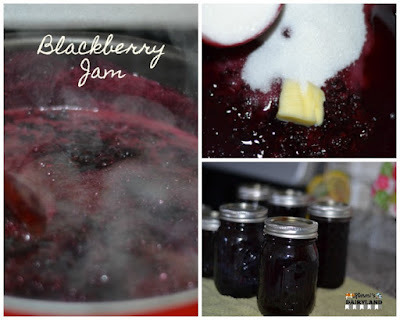 Jam is easy to make and you can make it year round. I love to use extra fruit from canning to make jam, but have also been known to use frozen fruit. 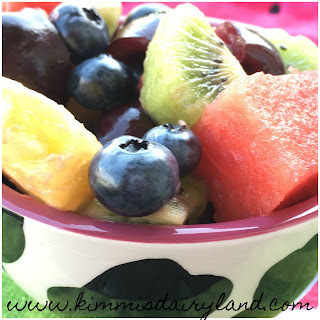 Frozen fruit is readily available in the freezer aisle and tastes just as good in jam. This is actually what I usually give to people as Christmas gifts. 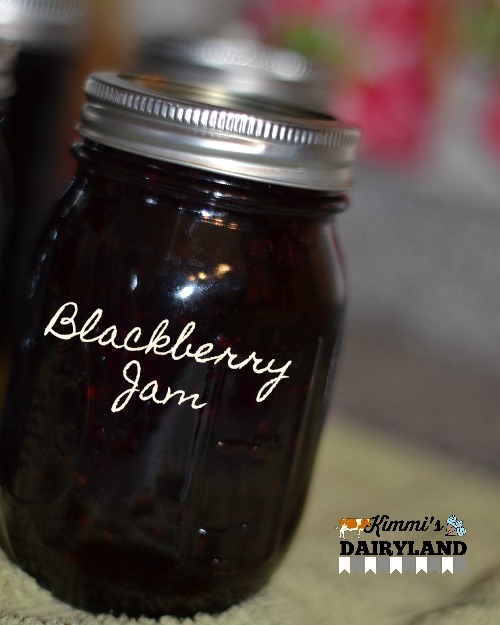 Blackberry jam is perfect as ice cream topping, on toast, in PBJ sandwiches and anywhere else you need something sweet. I made a marinade with blackberry jam and barbecue sauce last week for chicken and we loved it. Very versatile. Mom's secret is to add a small amount of butter to the berry and sugar mixture while it is on the stove to reduce foaming. This makes about 8 cups of jam. Welcome to 2018! If you are like nearly 40 percent of Americans, you set some New Year's resolutions to improve your life in some way this year. Did you know that only 8 percent actually achieve those outcomes outlined in their resolutions? 8 PERCENT! Striving to live a healthier life is a common resolution set by many. 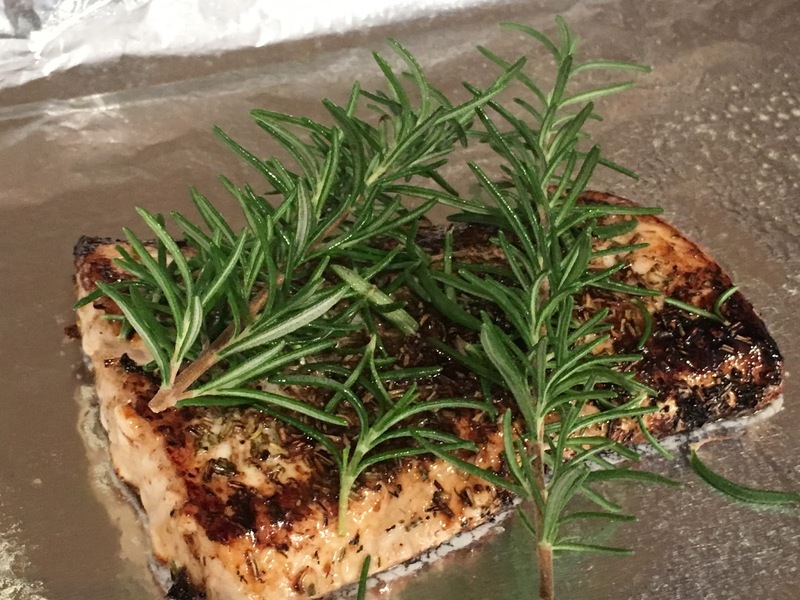 If this includes you, check out these healthy recipes to start the year off on the right foot. Don't forget to add your favorite workouts, enough sleep, and some scheduled downtime to round out your healthy lifestyle. If losing weight is on your bucket list this year, you've come to the right place. Weight loss is tough. It has been a personal struggle since I was 8 years old. 2017 turned out to not be an ordinary year and with the help of a personal trainer, I lost 30 pounds. 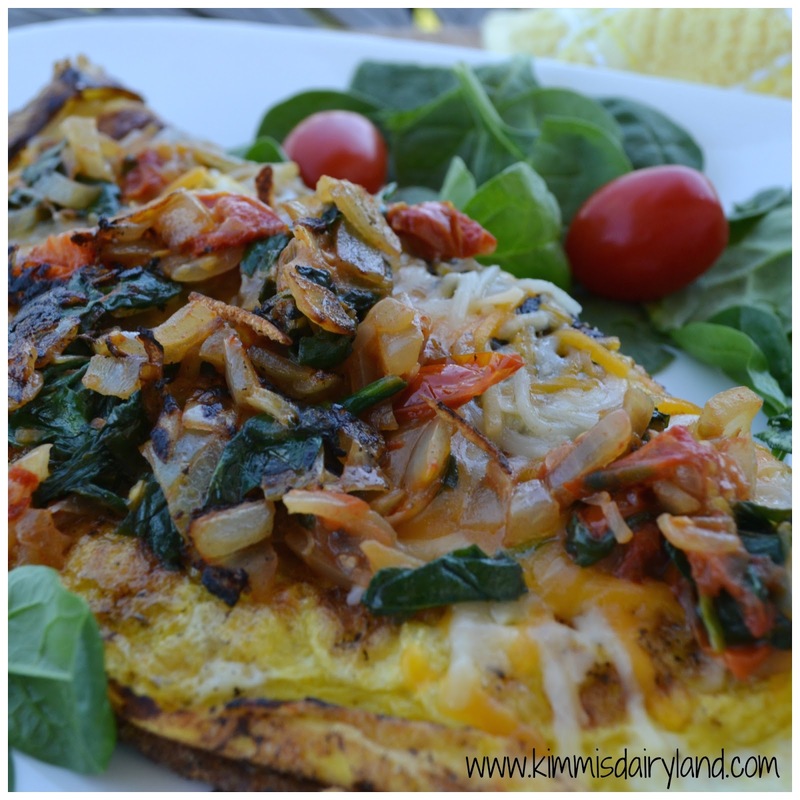 It was a complete overhaul of my workouts and the way I eat. I'm not done yet and realize that maintaining the weight loss will be a lifelong adventure. For tips on losing the weight, check out these posts. 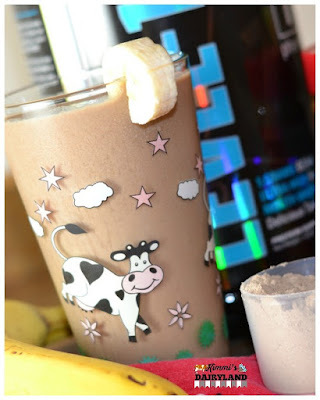 Let's talk nutrition - since it is about 80 percent of the weight loss equation. You cannot outrun your fork and there is no one-size-fits-all approach to meal plans since everyone's body responds differently. Try out different things and find something that works for you and your lifestyle to achieve your goals. A tip for everyone: add protein to each meal. Losing weight is about finding a balance you can live with. Not everything has to be 'clean eating' - although everyone seems to have their own definition of what clean eating is. Balance side dishes with the main course. Portion size is also very important in keeping calories in check. The 80:20 method is a good rule of thumb; eat healthy 80 percent of the time and leave some room for the occasional indulgence. This can help prevent binges on your favorite unhealthy treat. The trick that worked for me is managing the margin between calories consumed and calories burned. Recording food in the MyFitnessPal app on my phone, which links to and interacts with the FitBit app, makes it very easy to do this daily without much extra effort or thought. You just have to keep yourself accountable. If you eat it, record it. No exceptions. Keeping promises like this to yourself boosts confidence in the fact that you can do this! You can lose the weight. It takes (a lot of) time, patience, and determination. Don't give up if you have an off day - it will happen! - or if you fall off the wagon and certainly don't beat yourself up about it. Just get back on track immediately. You got this. Everything was going so well. 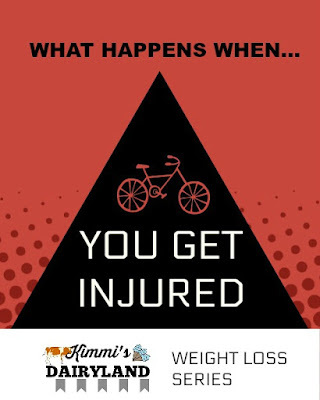 You were on point with nutrition and your workouts were going flawlessly - until you got injured. A pulled hamstring or worse can derail the best of goals and intentions. There are two options: (1) throw in the towel and go back to your old ways of eating and not exercising, or (2) modify your approach. In an effort to up my running game, I joined a running club late this fall. Like-minded people, scheduled runs - it was like a grown up cross country team. Perfect! What wasn't perfect was pulling my hamstring during a 5K holiday lights fun run in early December. Definitely nothing fun about that! Each run in the following days just didn't feel right and I could not figure out why I was in pain. Consult a medical professional to assess if it is a minor injury that will have you on the bench for a few weeks or if it is more serious. Modify your workouts. Let's use the hamstring example for simplicity. Running hurt, but short walks, upper body and ab workouts did not. Find ways to move your body that strengthen it without bothering the injured area. Your doctor or a personal trainer can give you some tips on this if you are not sure what you can do. Continue your nutrition plan. An injury does not have to derail your fitness goals. Nutrition is a major component in the equation. 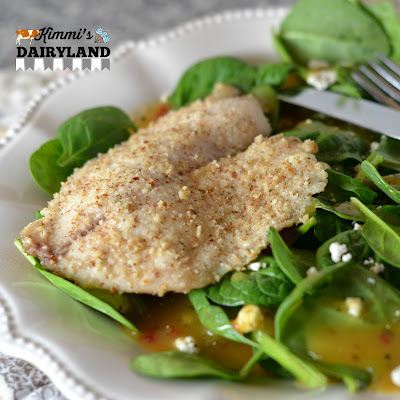 Continue meal planning and eat healthy, nutritious meals. You will feel better. Keep moral high and prevent your mindset from assuming the worst, even if the diagnosis is not good. Find new methods to achieve your goals in the meantime. You might even find new cross training activities you enjoy. So you want to lose a few pounds or maybe the number is much higher than that. Congratulations! You are about to embark on a transformation journey that will change your life in every way, from how you eat to your mindset on exercise and even your confidence and how you live your life. Before we get there, we need a plan. Just like a good road trip, this journey needs a road map. Plans are great. Planning and dreaming are different, however. Dreaming about how amazing it will feel to be free of all of the extra weight literally dragging us down and the confidence that will radiate from us is inspiration. That alone, however, will not get us there. We need a plan. 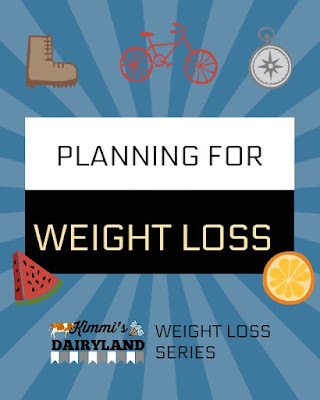 How do we start planning for weight loss? Much like you would for a strategic initiative. You need a mission and a vision. Let's start with the big picture. What will your life be like when you reach your weight loss goal? What will you be able to do? This is the dreaming stage, so think big. A mission goes hand in hand with a vision and is more of a purpose statement. 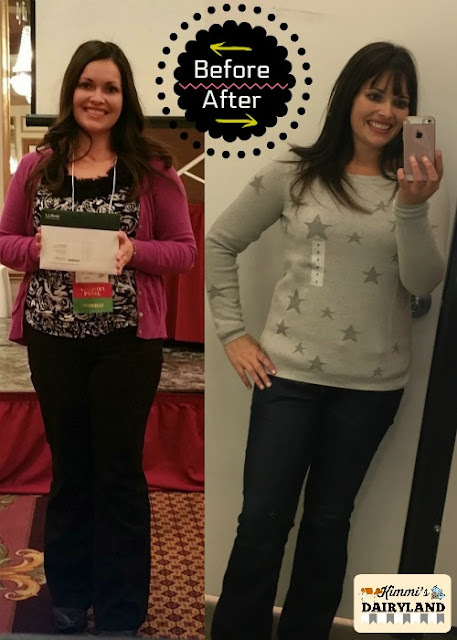 What is the purpose of this weight loss journey? One of the most important areas to think through before embarking on this journey is why you want to lose weight and improve your health. Are you hoping to fit into a smaller dress size for an upcoming event? Are you tired of having no energy and feeling run down? Do you realize that you deserve so much better than how you have treated yourself and your body? There is no wrong answer to this question. Do keep in mind that while it's always great to look great at a particular event, that cannot be the reason why. If it is, it will be very difficult to sustain your weight loss. Been there, done that. That can definitely be a driving factor in the short term, but find a long term motivation as well. This is different for everyone. Now that we know why we want to change our lives, we need to set some goals. What are you going to do? By when? There can be multiple goals. We want these to be specific. For example, I want to lose 4 percent of my body weight this month. This is specific, measurable, attainable, realistic and timely. SMART goals are smart for a reason. How are we accomplishing these goals? What actions will make it happen? This is where you pull out the calendar, schedule your workouts, and plan some meals. Add any other activities that motivate you and assist in accomplishing your goals. Big goals can be overwhelming. It can help to break the large change into milestones. How do you eat an elephant? One bite at a time. Let's revisit the example of losing 4 percent of body weight in a month. The overall goal may be to lose 10 pounds. 10 pounds can seem like a lot when you are struggling during a workout or not used to your healthier meal plan yet. Seeing the light at the end of the tunnel assists with perseverance. You'll also need a plan for when life gets in the way and things get off course. Since you are planning, it's obvious that you do not want to give up. What can you do to get back on track immediately? How will you be kind to yourself about the slip up? How can you prevent it from happening again? Accountability. Without it, you may fall off the wagon. Each of us are different and the method of accountability will also vary. A personal trainer is wonderful accountability, but a fitness-minded friend can also fill the role. If you'd rather not check in with anyone, check in daily with yourself in a journal. Did you meet today's goals? What can you improve on tomorrow? You may have to try a few methods before you find the one that clicks with your life.